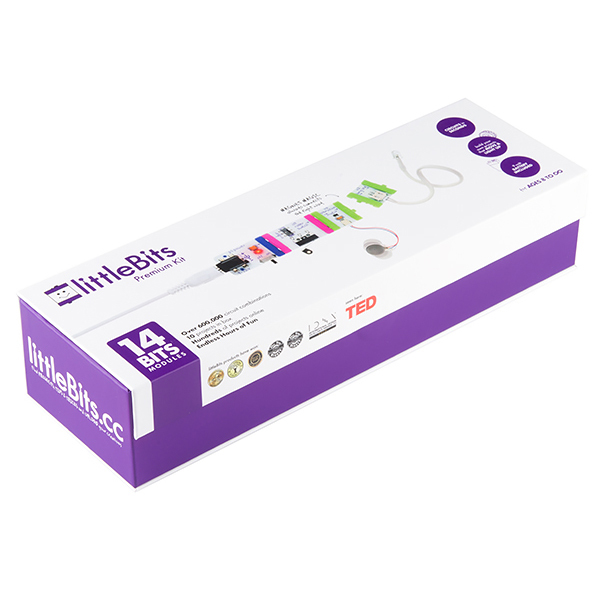 The littleBits Premium Kit contains everything you need to design your own interactive creations in more unique and technical ways as you would the littleBits Basic Kit. 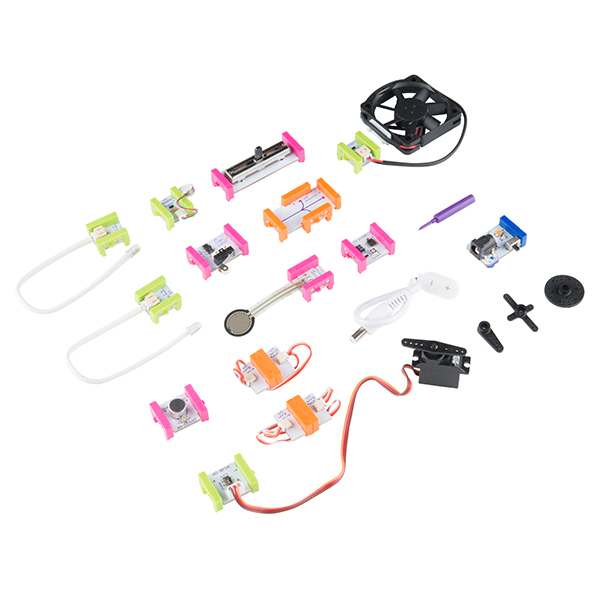 Included in this Premium Kit are 14 littleBits modules that can be attached together by the power of magnets, a 9V alkaline battery and cable, a vibeSnap to attach your Vibration Motor Bit, and a full-color instruction booklet with 10 fun projects to create. With this kit you will be able to make a multitude of projects including: a way to easily control a servo's position, make a back massager, or even transform sound into light! It even comes in a snazzy cardboard box with magnetic closure.